Nominations are now open for Photo of the Month for September 2012. 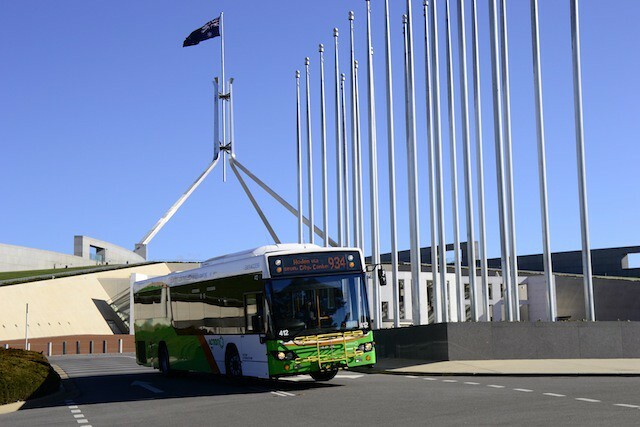 In addition to being shown on the actbus.net front page for a month (and added to the POTM archive), the winning photo will also be loaded to ACT Bus on facebook and, if suitable, will be used as the cover photo for the ACT Bus facebook page. For ease of viewing, photos should be displayed with a width of 640. You can do this by including the option width=640 in the image tag - as follows "[img width=640]"
Submissions close midnight 25 August. A new rule for this month: a minimum of 6 photos is required for voting to take place. Should there not be 6 photos by close of nominations, non-winning photos from previous months will be added to the nominations - photos will be selected by myself and/or Buzz Killington. Bus 368 on a diverted Route 934 turning from Froggatt Street into Masson Street in Turner. Next is Bus 346 heading down Barry Drive, Turner. 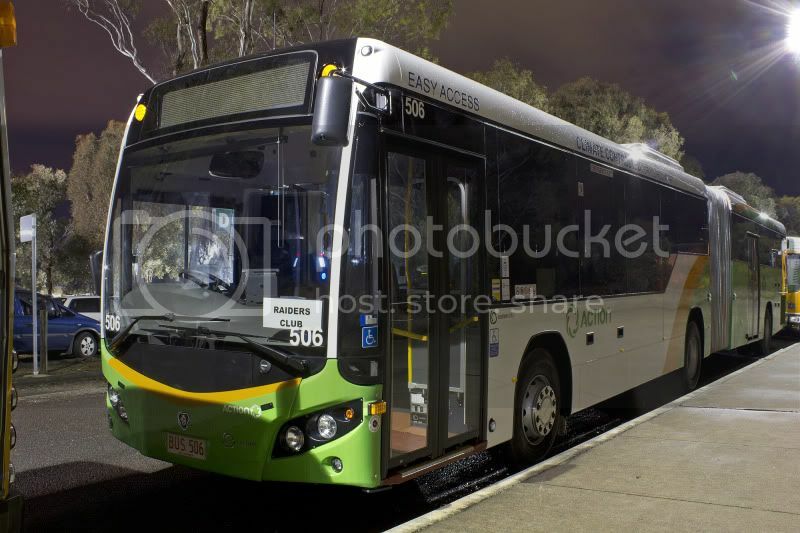 Firstly I have Bus 725 travelling along Templestowe Ave CONDER travelling to Bonython on a School Route 526. 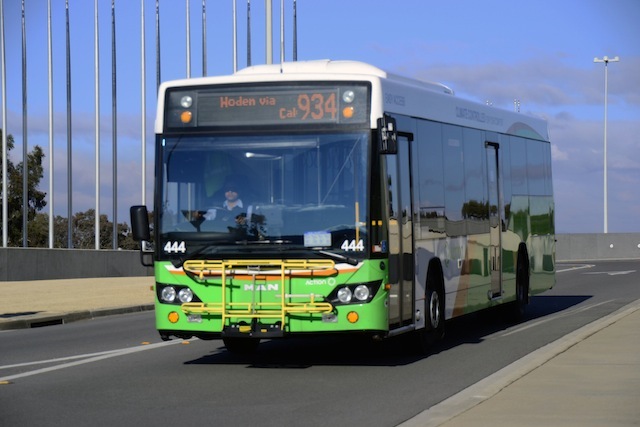 Secondly is Bus 872 travelling along Isabella Dr on a Xpresso 786 to Tuggeranong Interchange. Having some computer issues ATM but here are the two I have looked out. 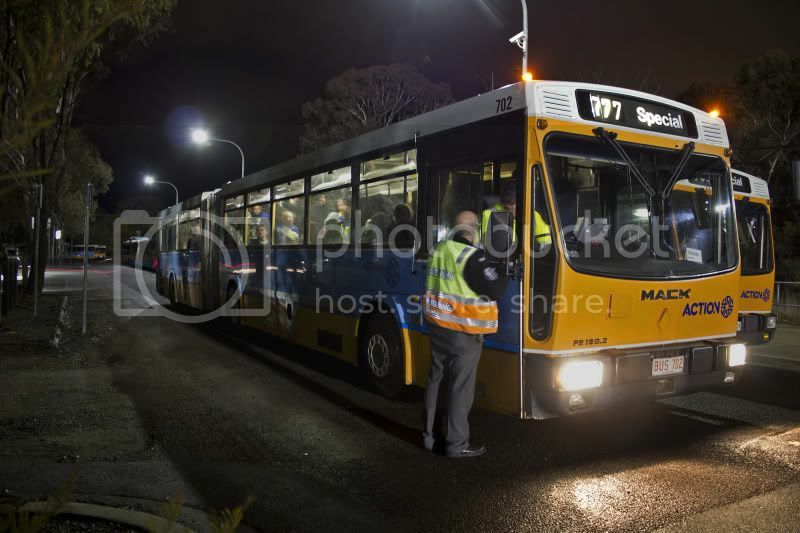 506 laying over in Masterman St during the Raiders vs Bulldogs game at Canberra Stadium. 702 arriving at Canberra Stadium. Photo of 108's new AOA. Voting has commenced. Up to 3 votes per user. A belated congratulations to Karen on her first win, and congrats also to King of Buses and Bidgee who were a close second.